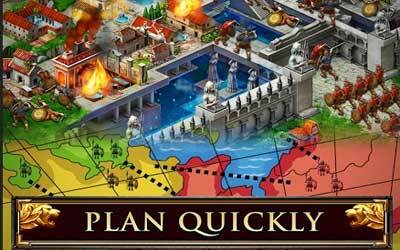 Previous version Game of War – Fire Age 3.17.504 apk for Android will help you to downgrade or install older app easily. This is one of the best Strategy apps. Game of War – Fire Age is redefining both the MMO genre and mobile gaming as a whole. As this title continues to set new standards, take advantage of numerous amazing additions to further invigorate your gameplay.